If you ask any of your friends what iPhone radio is the best, the answer will be definite – Freemake Musicbox. This app is unbelievably good in finding music radio stations by an artist’s name or a genre. Use various hashtags like #rock, #pop #indie and others to discover new tracks and golden hits. 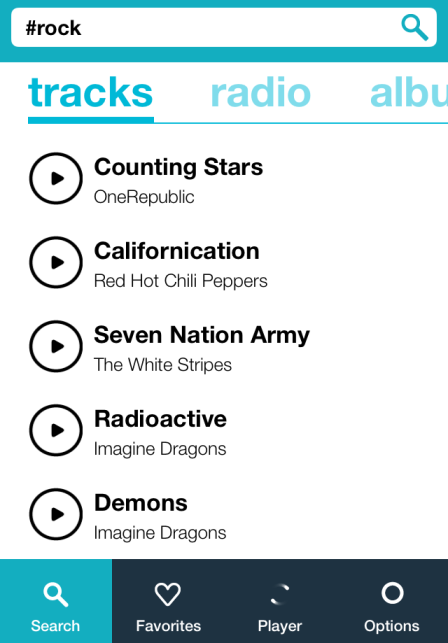 Besides, you can add every radio station into Favorites and have quick access to it. If you are tired of the radio channel, it can be easily removed from the list. 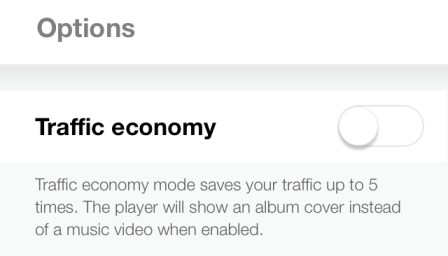 If you have a slow Internet connection, you are always welcome to activate the Traffic Economy Mode and continue listening to awesome music without interruptions. 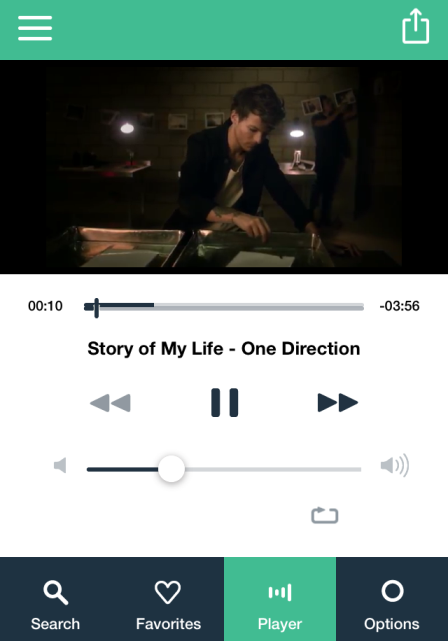 Freemake Musicbox also includes a fabulous music player. 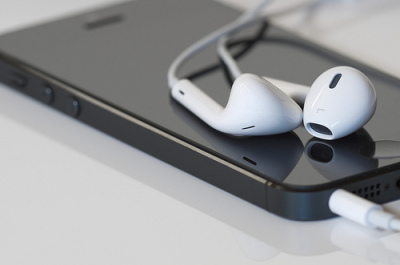 The app lets you access on-demand music and create your personal playlists. Switch from the Radio to the Tracks tab and type your favorite singer’s name into the search box. 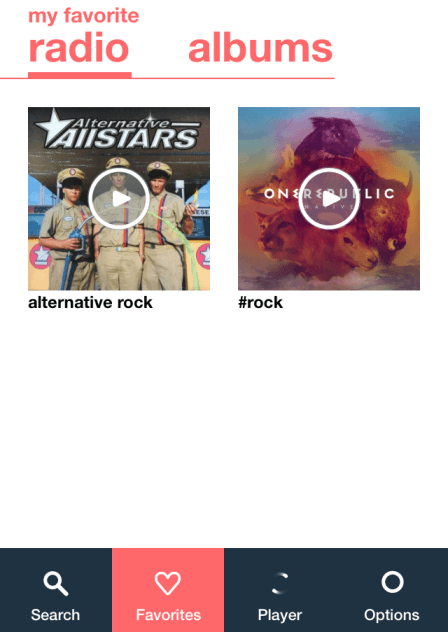 The app will bring a relevant list of songs. You can listen to a full artist’s discography within Freemake Musicbox absolutely free! Musicbox music library is based on YouTube data and it allows you to listen to all tracks absolutely legally and free, and also to watch official music videos. 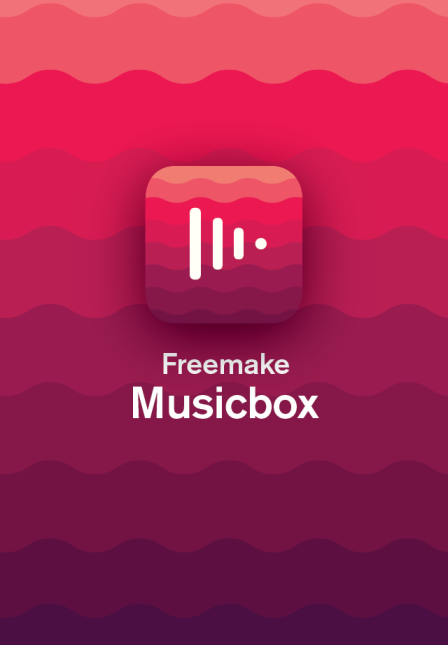 Verdict: Freemake Musicbox seems to be a must-have for all the music lovers and radio fans! 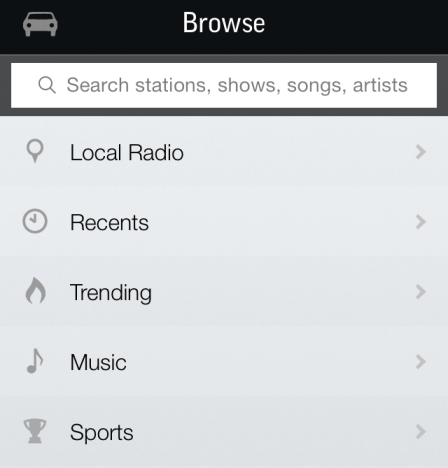 TuneIn Radio is a smart and modern way to consume radio. TuneIn Radio is available on iPhone, iPad, Apple Watch, CarPlay, Google Chromecast, Android, Windows Phone, and other devices. It allows you to browse radio stations by location and by genre. TuneIn Radio gives you access to real radio stations with professional DJs that exist offline. You can also listen to trending radio channels, sports, news or live talks within this app. Don’t forget to add your favorite stations to Favorites to bookmark them. If you want to learn a foreign language, don’t hesitate to explore the Languages unit to listen to the stations from different countries. 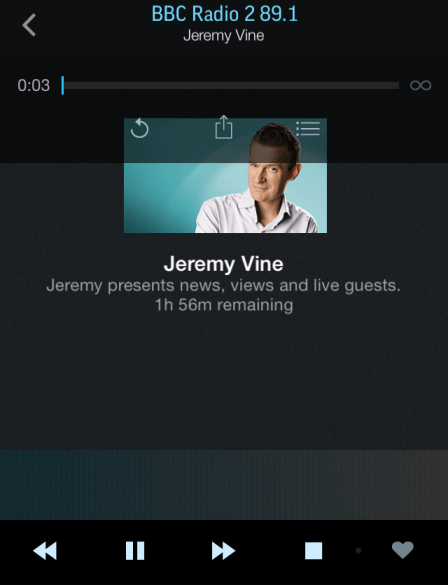 Verdict: TuneIn Radio is perfect for radio fans which listen to many stations and adore new music or radio shows. Slacker Radio is a truly personalized radio app. Unlike many AI-based radio streams, Slacker Radio stations are curated by human DJs that select best music, shows, talks for you. The radio app is good at music streaming. The Slacker player interface is pure and clear. There are hundreds of radio stations for any taste: comedy, news, shows from ABC, ESPN, The Weather Channel, sports and, of course, music. 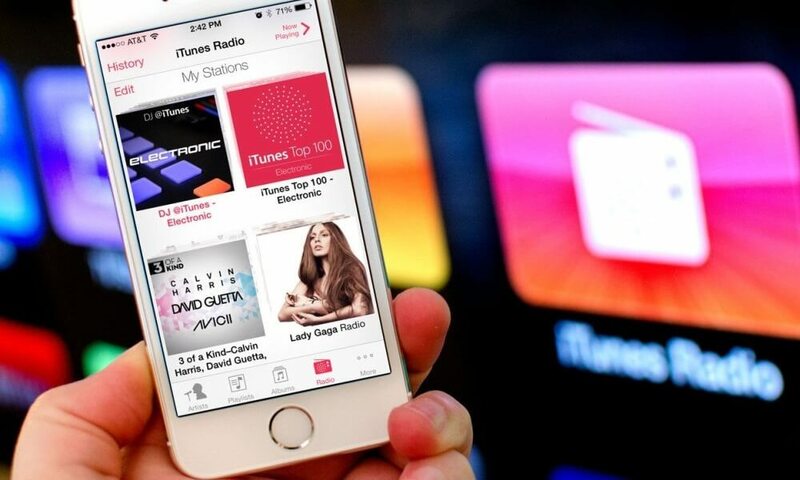 However, if you plan to use Slacker Radio as a universal music app, you’ll have to buy a subscription for access to on-demand music. Verdict: If you need a radio created by human beings who know, what songs match each other, than Slacker Radio is right for you. Pandora Radio is probably the oldest free Internet radio in the USA. You can listen to Pandora Radio online, on iPhone, Android, Apple Watch, and desktop. Pandora focuses on music streaming. 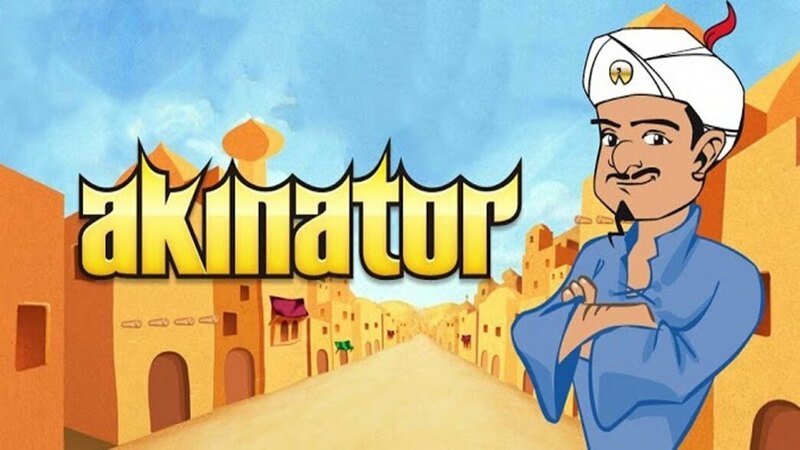 The service boasts of smart radio algorithm that finds perfect music combinations. You can search for the stations by genres or simply by an artist’s name. The app allows you to create up to 100 personal radio stations! 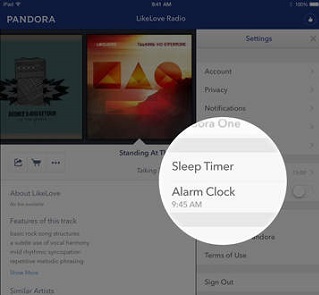 Another excellent option of Pandora Radio is an alarm clock. You can set it and wake up in good mood. 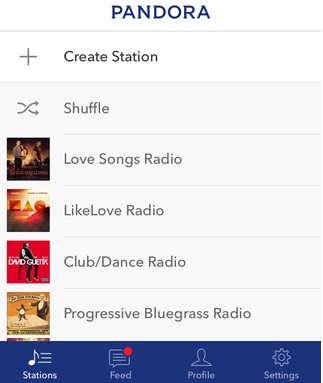 Verdict: Pandora Radio is a cool subscription radio based app; the subscription is called Pandora One ($4.99 per month). All key features are free. One minus is the big number of various ads: audio ads between songs and banners. iHeartRadio is not an average Internet radio, it’s a real entertainment center! Surf between different radio stations: choose any station, country, or browse channels by genre (comedy, news, sports, music). Find your local AM or FM radio stations, add them to Favorites. 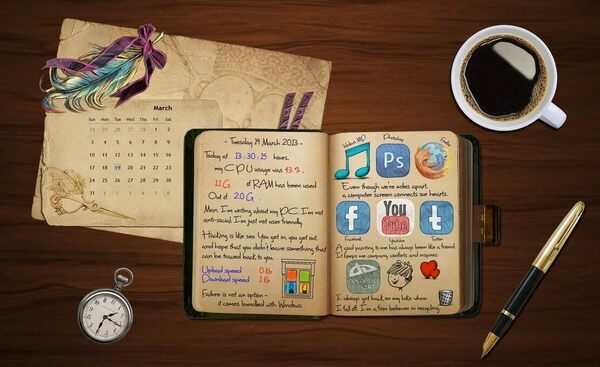 The interface of the application is brilliant. Here you’ll see 3 main tabs: personal music recommendations, your favorites, and local radio stations. Thus, you can always adjust your music feed at any moment. 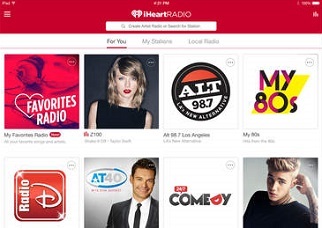 Verdict: iHeartRadio is ideal for those who want to listen to local FM radio stations on iPhone. SiriusXM Radio is probably one of the most-known satellite radios. Here you can listen to live concerts and shows, talks with DJs, real-time band performance, and much more. SiriusXM Radio offers 150+ channels such as CNN, Fox News, NBC’s TODAY, MSNBC and others. The iPhone apps let you get most of traditional SiriusXM Radio. 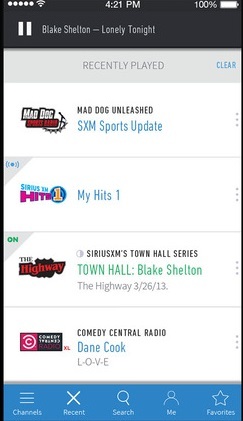 The key thing you should know about SiriusXM Radio is the ability to customize radio feed according to your taste. You can set what type of music you prefer today, what genre or what style. See the screenshot for details. 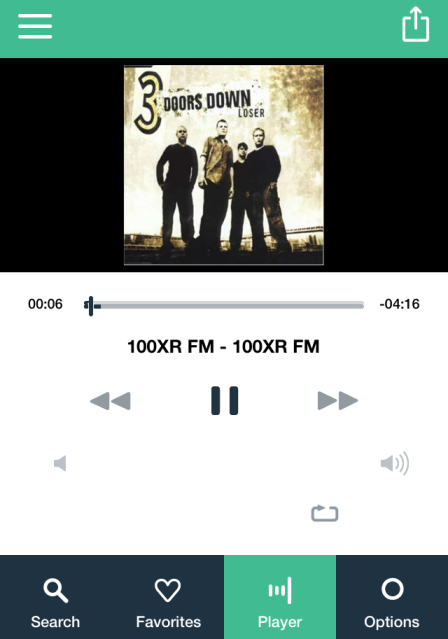 Verdict: SiriusXM Radio is for traditional radio fans who are looking for a simple and user-friendly app. 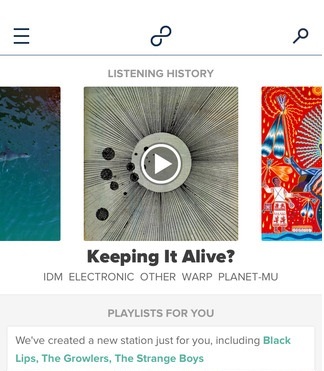 8tracks is a new player on the market of Internet radio. The service has a unique approach to the “Radio” notion. 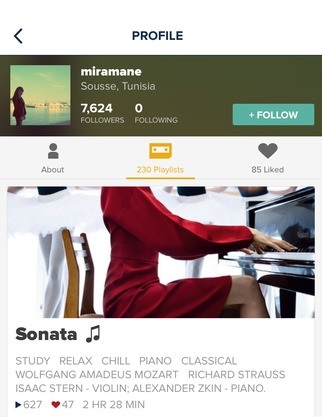 The creators of 8tracks turned radio app into a social network. So you can follow people, see their music stream and share yours with friends. Here you can discover popular and indie music, enjoy YouTube & SoundCloud, browse tracks by mood, occasion or genre. 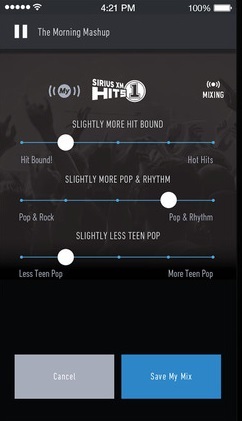 Thanks to enormous amount of data, 8tracks radio recommendations are very diverse. 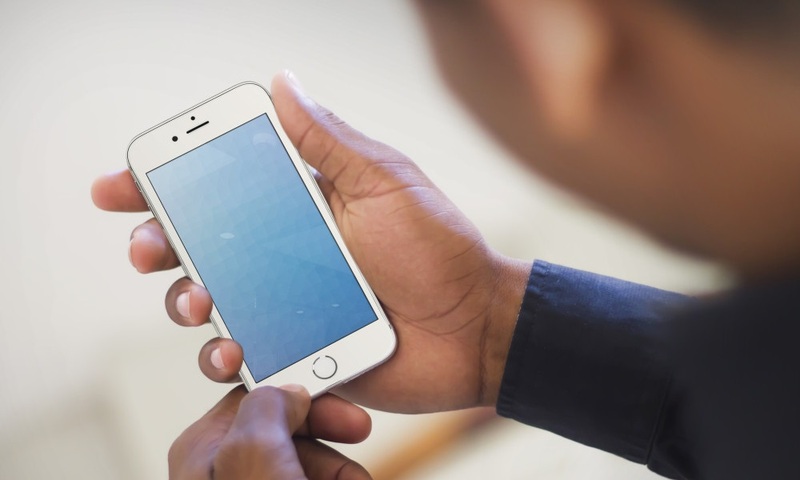 Verdict: 8tracks is a radio app of modern generation who wants to be social all the time.